At this step of the wizard, specify channels allocation. Channels are used to restore data in multiple threads per session. Using multiple threads allows to reduce the amount of time needed to complete restore sessions. For more information about allocating channels, see this Oracle article. 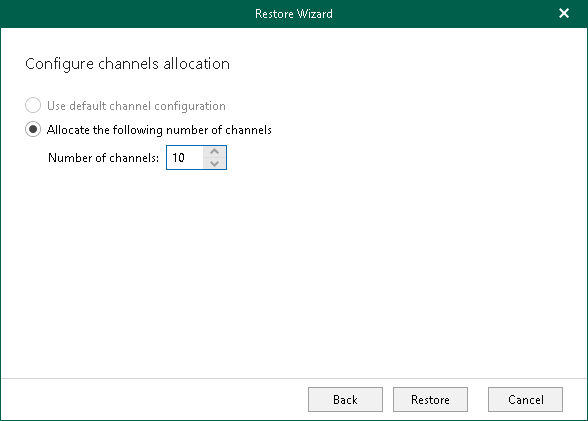 Use the default channel configuration. To use the default channel configuration, which is defined in the RMAN plug-in settings. Allocate the following number of channels. To specify the number of channels to be used when restoring your data.